*Note: Occasionally, there are glitches through email. If you don’t hear back from us in a few days, please call us directly. Thanks! Brown County has some of the highest pheasant counts in all of South Dakota. 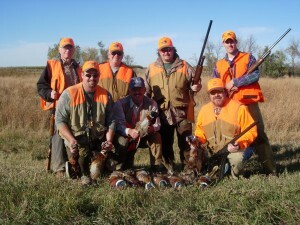 Maple River Pheasant Hunts offers guided and semi guided pheasant hunting trips. We still have dates available; however, we encourage you to contact us and book your pheasant hunt early to get the dates your looking for, as we do fill up.